Newsletters Archives - Idea International, Inc.
Home » Archive for category "Newsletters"
Good question—and absolutely essential to understand because it is the groundwork for our services. “APAC” is an abbreviation for Asia-Pacific. Unlike Asia, which is a continent, Asia-Pacific, or APAC, is a term used primarily in business to describe a group of countries. There is no consensus on which countries are included. Definitions are unclear and applied broadly. You wouldn’t be the first person to misjudge the sheer size of the region. What is clear is that the region consists of amazingly diverse groups of unique, independent countries, typically including much of East Asia, South Asia, Southeast Asia, and Oceania. 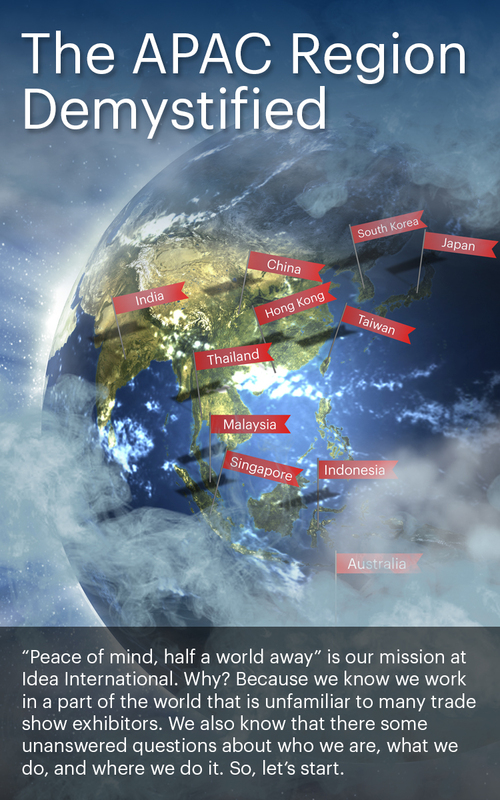 So how many countries are in the APAC region? According to the United Nations, there are 48 countries. Does Idea International work in all 48 countries? Yes, but most of our work is in the countries with the highest Gross Domestic Product (GDP). 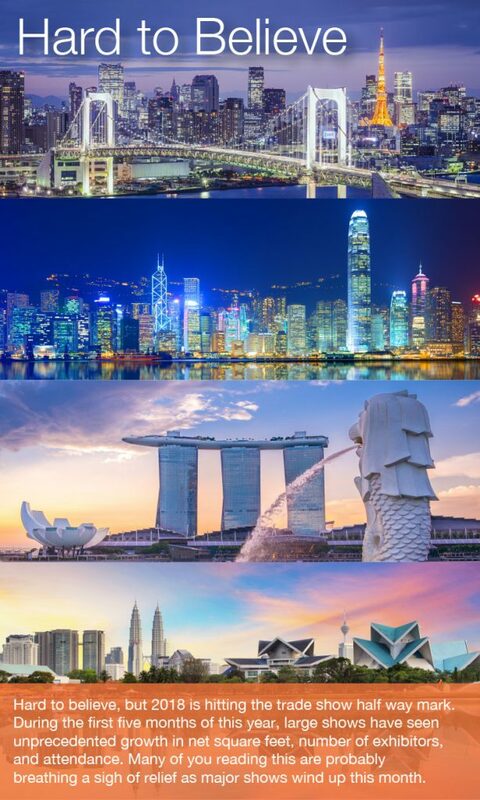 The top 10 countries include China (including Hong Kong), Japan, India, South Korea, Australia, Indonesia, Taiwan, Thailand, Malaysia, and Singapore. Obviously, the countries with the highest GDP are the largest centers for business and new markets, so they attract the most exhibitions. For example, we haven’t worked in Laos or Papua New Guinea yet, but as their trade base grows, we’ll be ready. Is the trade show industry really that robust in the APAC region? The trade show industry in the APAC region strengthens year over year. Four markets book over one million net square meters – China, Japan, India, and Korea. Hong Kong and Taiwan are poised to surpass that million square meters milestone in the next few years. All of this reinforces the APAC region’s position as one of the most dynamic trade show markets worldwide. The UFI Global Exhibition Barometer, issued semi-annually, is an important gauge of global trade show health. 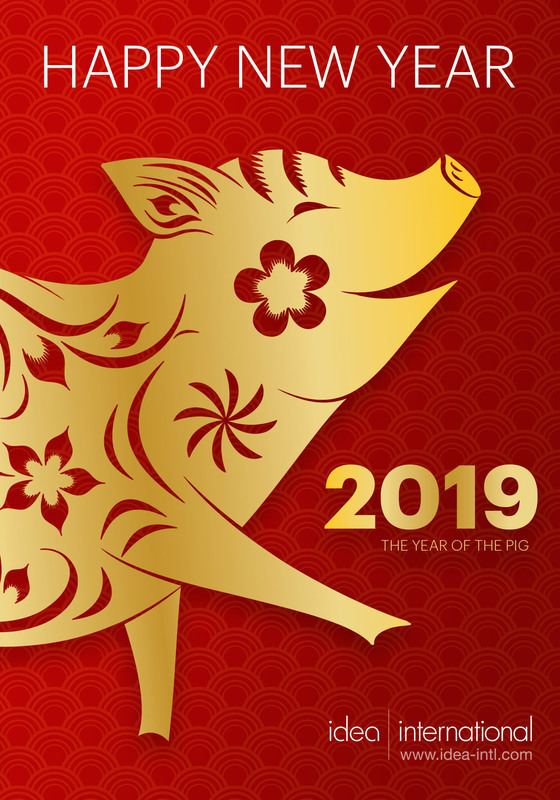 The latest report revealed a positive outlook for 2019, one that is especially strong for the Asia/Pacific region which recorded its highest levels in the last five years. These exhibitions attract a growing number of companies expanding into global markets. What are some of the strongest industries for trade shows in the APAC region? Not unlike the rest of the world, healthcare, technology, and manufacturing are very strong. For example, many medical world expos are locating to the APAC region. These trade shows attract a global audience, not only people from the region. Plus, many attendees look forward to a show in an exciting new part of the world. What are some of the constraints to exhibiting in the APAC region? Venues in some countries have not kept pace with the growth of exhibitions. 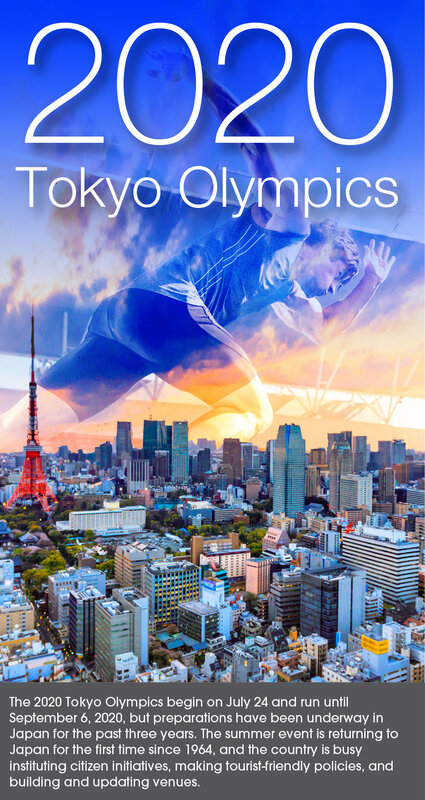 While countries like Australia and Japan are expanding their major centers (see our newsletter about how this is happening in Japan as the country prepares for the 2020 Olympics), hotels are not always adequate to the demand. For Western exhibitors who are used to accessible housing, this can be frustrating. 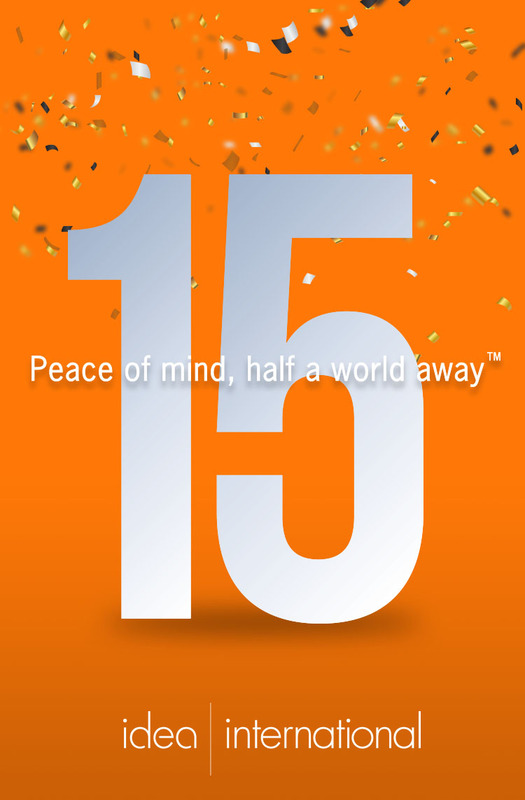 What are the unique advantages Idea International offers? We know the APAC region. We know the venues, the labor environment, the types of materials that are common to the area and most economical. 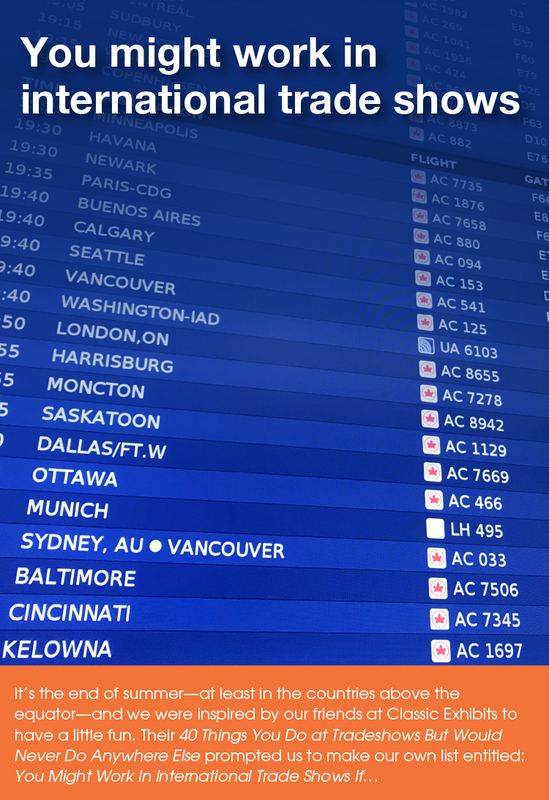 We make the exhibiting experience as seamless as possible for corporate exhibitors and their partners who are coming into the region—or for that matter, into a country or city—for the first time. We are familiar with the organizers and their practices, so we help you resolve issues like hotels, payments, and the like. Remember: the experience of working at Tokyo’s Big Sight doesn’t necessarily prepare you for the challenges of working in Mumbai. There are official government requirements in each country, and exhibitors need to work with a partner who can help them make sure nothing is overlooked. Can you describe the overall exhibiting environment? Providing and creating experiences is a priority, as is the use of interactive technology. Like we find at trade shows the world over, younger attendees are driving the demand for technology, mobile connectivity, networking, and collaboration. ROI is vital to organizers who are building a future where choosing the APAC region might be as common as choosing Orlando or Las Vegas. Feel free to ask us questions. We are here to help empower you and eliminate the “smoke & mirrors” anxiety associated with exhibiting in the APAC region. We want you to know what to expect. Do you have a question we didn’t answer? Click here to ask us. Yes, I’ll be at ExhibitorLive, joined by Sungsik Oh, one of our team leaders who is the embodiment of our values: service, going the extra mile, providing peace of mind. Here is my email address: cdorn@idea-intl.com. Email me right now—you don’t have to leave this page! —and tell me when and where you would like to meet, if for no other reason than to hear how an Iowa farm boy built one of the most successful exhibit and event companies in the APAC region. I look forward to celebrating with you, if not at ExhibitorLive, then when your show schedule brings you to my part of the world. 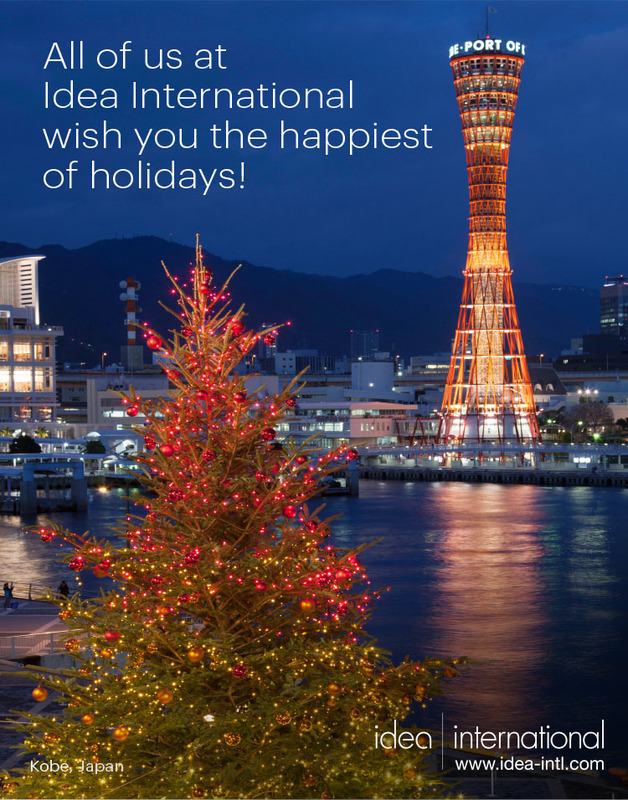 All of us at Idea International wish you the happiest of holidays! Extra! Extra! Read all about it! Good news for you! Idea International offers beMatrix in Japan! This rental inventory represents a major investment for us—and a major advantage for our customers who now have the opportunity to achieve a custom look that is flexible, graphics-friendly, sustainable, and easy to use. We can deliver a high-end modular, extruded aluminum exhibit system when your trade show schedule brings you to Japan. Why beMatrix? Because beMatrix has become the exhibit industry’s leading system solution, with exhibit and event companies adopting it worldwide as the backbone of their rental inventory. BeMatrix combines modularity with the features of custom-built properties. The same beMatrix frame is suitable for hard panels, SEG fabric graphics, slatwall, Plexiglas®, and custom infills. As with any trade show, anywhere in the world, including Japan, show organizers offer booth packages. But exhibitors don’t have to choose one of the booth packages on offer. Rather, when you work in Japan with Idea International, you have rental exhibit options that allow you to have a more significant impact on the show floor than the organizer’s options. Why opt for a shell scheme when you can rent a custom exhibit? Building a market base in Japan takes time because Japanese customers build lasting relationships over a period of years, not months. Many exhibitors who are at a Japanese trade show for the first time take a smaller space either to test the waters or because by the time they decide to exhibit, only smaller spaces are available. But a small exhibit doesn’t need to be timid or boring. We can now offer exhibitors a compelling exhibit no matter how large or small the space. We provide the opportunity for exhibitors to stand out from the crowd—even first- time exhibitors. 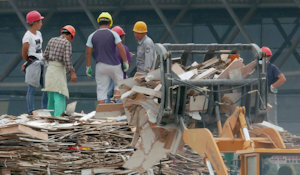 Most exhibitors in Asia elect a one-time use exhibit, a practice known in the industry as “build and burn.” “Build and burn” exhibits have a negative impact on the environment and add to the waste generated by our industry. 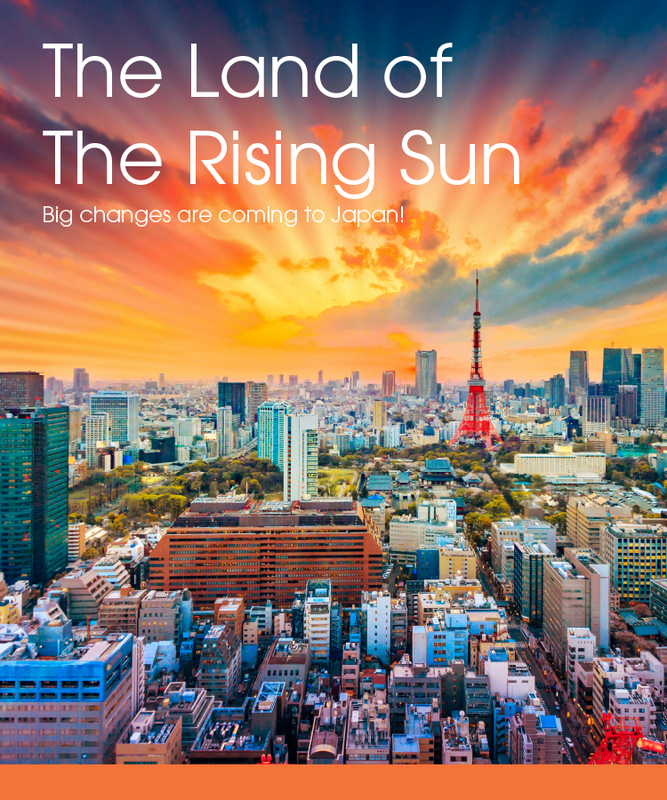 We are proud to be a sustainable exhibit solution provider in Japan. Rather than one-time use, our beMatrix components are infinitely reusable and continue to deliver a striking presence on the trade show floor, time after time. The beMatrix frames can be re-used in their original format for the ultimate sustainability solution. Add to that fact the durability of the frames, and the environmental impact of exhibiting in Japan is significantly lessened. Every part is 100% recyclable. Plus, the beMatrix system doesn’t use any acids that pollute the environment in the manufacture of the aluminum frames, and the use of substances like paint and glue is minimized as much as possible by using textiles or panels. Even more importantly, with the beMatrix system, Idea International will be able to replicate your global design. Based in Belgium, beMatrix is setting a worldwide standard. 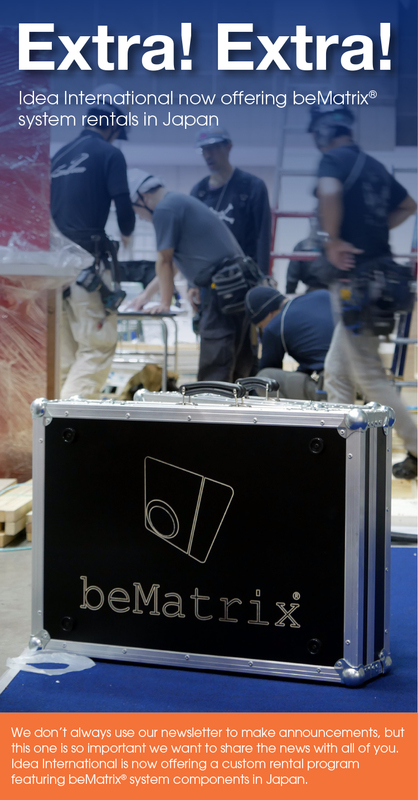 The beMatrix option is an excellent choice for global exhibitors coming to Japan who want to keep a fresh image on the trade show floor but who also need to ensure brand continuity and identity wherever they exhibit. Idea International is proud to offer this option to exhibitors at Japanese trade shows, events, and other installations. Learn more about our beMatrix® custom exhibit rental program here. As so many people have found when going back in time, everything isn’t as you remembered. It’s smaller, less daunting. 20 years ago, I wasn’t overly confident, and here I was coming back to where it all began, the president of a company who understands that confidence comes with experience and knowledge. During my student years, I was able to dig up a few odd design jobs here and there. One was for a local auto sales paper where I learned about print production and how to use programs like Quark Express, Macro Media, and Corel Draw (remember those?). The owner sometimes worked all night to get the paper out; he did what he needed to do to get the job done. I also did layouts for a phone book publisher, and I redesigned some company signage for local businesses. When I took the design to the owners, they loved them but told me the changes would be too pricey. For the first time I was hit by the reality of a budget. I spent my internship and the first year after college at Derse in Milwaukee. Russ Fowler and I had talked at Exhibitor in 1998. I sent him some samples, and he sent me a ticket from Bemidji to Milwaukee, a ticket that cost $800! I accepted Derse’s offer, and immediately called my girlfriend from the Milwaukee airport. We were on our way. I met many interesting, talented people at Derse. I was doing work that was going to be presented to clients, and the work had to be refined and show a thought process. 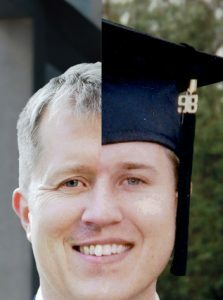 I also learned that living in the real world was more expensive than being a student. After Derse, I went to work for Exhibitgroup/Giltspur (EG–now GES), a period that coincided with the burst of the dotcom bubble. Clients started to look at projects differently, and our input sessions focused on big picture thinking, exploring objectives, and anticipated return on investment. I was fortunate that I occasionally went on calls with sales people. About this time, both my wife (yes, I married my girlfriend) and I were getting tired of Midwest winters. We wanted to try something else. I was always interested in Japan, starting with Japanese video games, cars, management style, and generally lots of cool stuff. At EG, I was exposed to international exhibit work, but no US company was interested in opening an office in Japan. I had no training in the language, so I took some classes in Chicago. Because my wife is Japanese, I had a spousal visa, so on August 1, 2001, we flew from Chicago to Osaka with our suitcases, two cats, no job, and no plan. My job search was frustrating, and then 9/11 happened. In addition to the imminent threat of global terrorism, the resulting impact on travel, trade shows, and everything in my DNA was in jeopardy. My first job in Japan was teaching English, 1:00-9:00 PM, Friday through Wednesday. Although I made very little money, I learned many things about Japanese culture and working in Japan from my students. I learned relationships matter and that everyone is responsible for getting the job done. During my days off, I built up my network. I made contacts with ad agencies, architects and began working for GK Expo thanks to my EG network. I learned that the time you put into a job doesn’t matter as much as the result. There is no “that isn’t my job” attitude. A person becomes a “jack of all trades.” I learned I could do what I was doing for GK Expo for myself, and in February 2004, Idea International was officially incorporated as an LLC. One of the primary reasons I started Idea is that trust is everything. Provide the best service, make it easy for clients, make them look good, put their best interests first, and you have a winning formula. Maybe it’s the Iowan or Midwestern values in me, but I believe in hard work, honesty, and transparency. 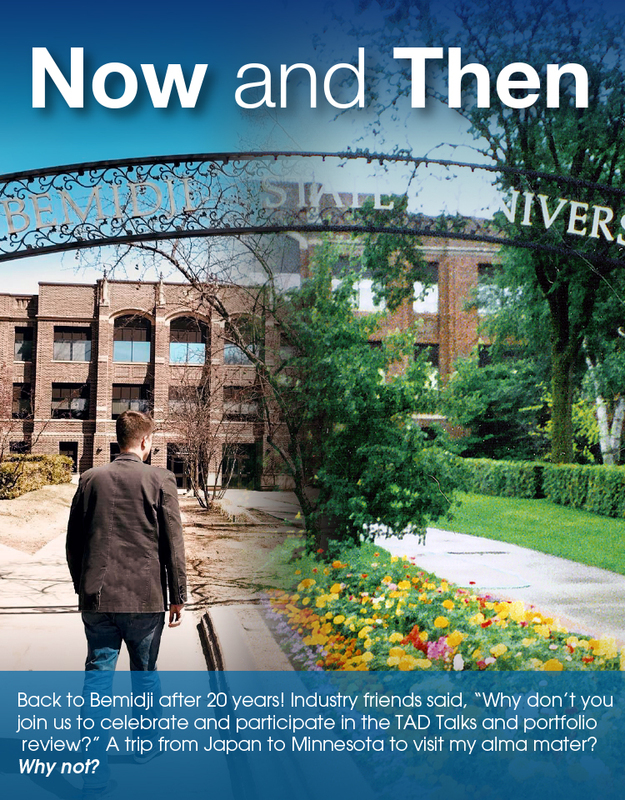 Twenty years, 2 kids, and a thriving company poised for expansion later, my message to the Bemidji class of 2018 is: be yourself, understand who you are. Listen. Be curious. Be a good team member. Do whatever it takes. Don’t be afraid to make mistakes or to admit when you’re wrong. That’s the only way you will get the experience and knowledge to make it through the next 20-plus years.